WHEN ARE YOUR FULL-TIME AUDITIONS AND WOULD YOU ACCEPT SOMEONE MID-YEAR? WHAT WILL I BE REQUIRED TO DANCE AT THE AUDITION? HOW CAN I AUDITION IF I LIVE OUTSIDE NZ OR AUSTRALIA? International students and applicants unable to audition in person may apply by video audition. Applicants accepted on the evidence of a video audition are only offered entry to the School on a provisional basis. There is a fee for auditioning by video. WHAT AGE ARE STUDENTS AT THE SCHOOL? Students are usually 16 to 18 years old when entering the full-time course. Exceptions may be made during the audition process. Scholars are selected at 10 years old and Associates are usually aged 13 – 16. WHAT ARE THE ENTRY REQUIREMENTS FOR THE FULL-TIME COURSE? DO I NEED TO UNDERSTAND ENGLISH TO STUDY AT THE SCHOOL? Admission to the New Zealand School of Dance is by audition only. Application forms for the full-time course will be available from the How To Apply page once applications open mid-year. For information on applying to other NZSD programmes such as Associates, Scholars or Winter School please visit the the relevant pages. If you have other questions about applying email the NZSD Administrator or phone +64 4 381 9226. WHEN WILL WE FIND OUT THE RESULTS OF THE AUDITION? Applicants will be notified by the end of November. You will be contacted by post and also by email with the result. 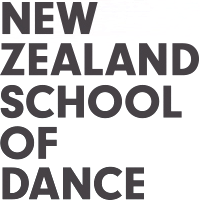 Annual tuition fees for the New Zealand School of Dance are on the following pages: Domestic Student Fee and International Student Fee. Students from New Zealand, Australia, Niue, the Cook Islands and Tokelau are classified as domestic students for the purposes of study in New Zealand. In addition to course fees, full-time students must pay costs, including a Student Services Levy. CAN I GET A SCHOLARSHIP OR FINANCIAL AID? A small number of scholarships are available to help students with the cost of full-time training. They are offered on the basis of merit and financial hardship. Students will be considered for scholarships only upon acceptance to the School. First year students are not usually eligible to receive scholarships. CAN I GET A STUDENT LOAN OR ALLOWANCE? New Zealand students can apply for a New Zealand government funded student loan and student allowance. Permanent residents and Australian citizens will be subject to a three year stand-down before they can receive a loan or allowance. Other international students are not eligible to access these loans or allowances. WHAT DANCE STYLES DOES THE SCHOOL TEACH? There are two main styles taught at the NZSD; classical ballet and contemporary dance. Full-time students choose to major in one of these, but receive training in both. The number of students varies from year to year. There are usually between 70 and 90 over the three years of the full-time course. An average first year consists of approximately 25 dancers. HOW MANY HOURS DO STUDENTS DANCE? A typical day for students on the full-time course begins at 8.30am and finishes at 6.00pm. Students should expect to be dancing for at least 25 hours per week for 40 weeks of the year. HOW MUCH PERFORMING WILL I DO? The focus in your first year at the School will be on the principles of classical ballet and contemporary dance technique, not on performance. First year students are able to perform in the end-of-term studio performances and may be selected for other performance opportunities throughout the year. Students in their second and third years will have opportunities to perform in professionally presented productions such as the School’s Choreographic Season and Graduation Season. WHAT ARE THE EMPLOYMENT PROSPECTS FOR GRADUATES? Around 75% percent of New Zealand School of Dance students gain contracts within six months of graduating. Many of these are with leading ballet and contemporary dance companies in the Asia Pacific region and further afield. The New Zealand School of Dance enjoys a unique relationship with the Royal New Zealand Ballet, where many graduates have started their careers. DOES THE SCHOOL OFFER OPEN CLASSES? Yes, NZSD offers both classical and contemporary open classes designed for those aspiring to full-time training. These occur on Saturday mornings throughout the year. In addition, the School has a series of aspirational and public programmes which are open to students not enrolled full-time. These include Adult Ballet classes, Winter School (for grade 5 and over), Associates(aged 13-16) and Scholars (from age 10).